Wowzers! It's been way too long since I've been here. I missed you guys! Between work picking up, traveling for a solid two weeks for the holidays, celebrating my birthday (26! ), and getting back into the groove of things after all of that, it's been hard to find time to get in the kitchen and for blogging. But I am back. Full force. And I am really happy about that! 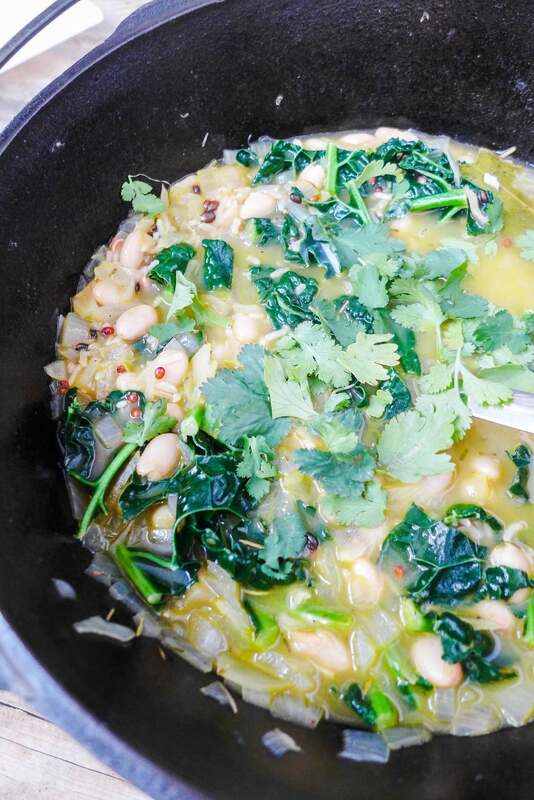 Today I'm bringing you guys a super awesome Kale and White Bean Soup. 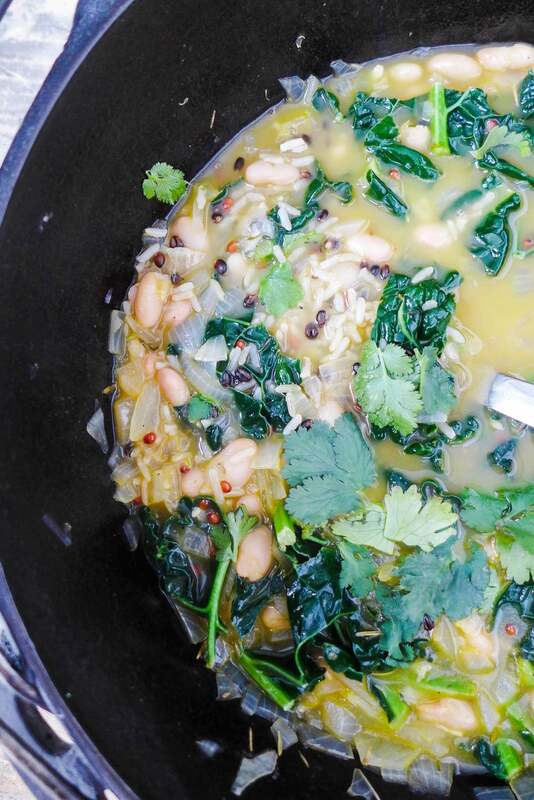 This soup is hearty, comforting, super easy to make, and most importantly - healthy. I think you guys are going to love this one! I really enjoy soup. But even more than eating it, I enjoy making it. Because making homemade soup, or chili, is a fun way to express your creative side in the kitchen. And it always turns out tasting delish! You'd be surprised with what ingredients turn out great in a soup! Dave (my boyfriend - if you're new here) is always saying things like "you're putting what in what?" and "whatever you say". Just let the professional work, am I right? Haha! Anyway! 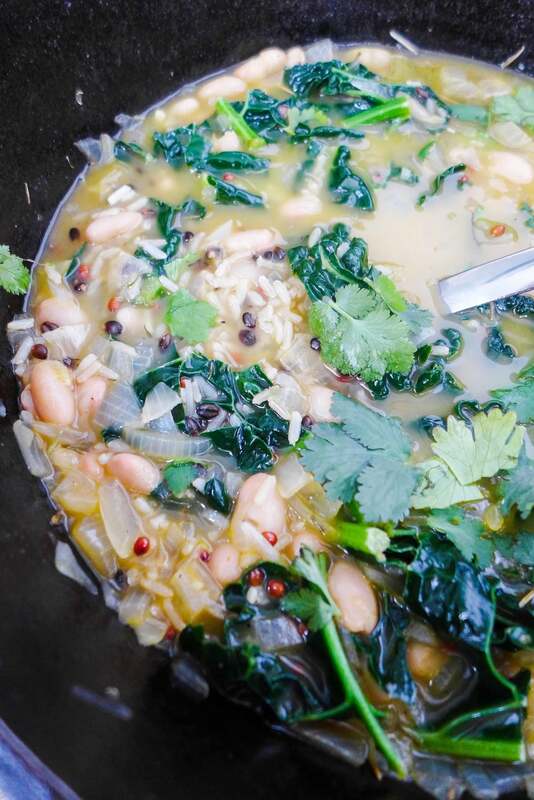 Give this soup a try. I know lots of you are stuck in cold weather right now, and this recipe is sure to keep you warm - and full! 1. Heat oil in a large pot over medium heat. Add garlic and onions. Cook, stirring often, until the onions are translucent and very fragrant. About 2-3 minutes. Add in thyme and rosemary. Stir until fragrant, 1-2 minutes. 2. Sitr in vegetable stock, 1 cup water, and bay leaves. Bring to a boil. Stir in wild rice, reduce heat and simmer until the rice is tender, about 13-15 minutes. 3. 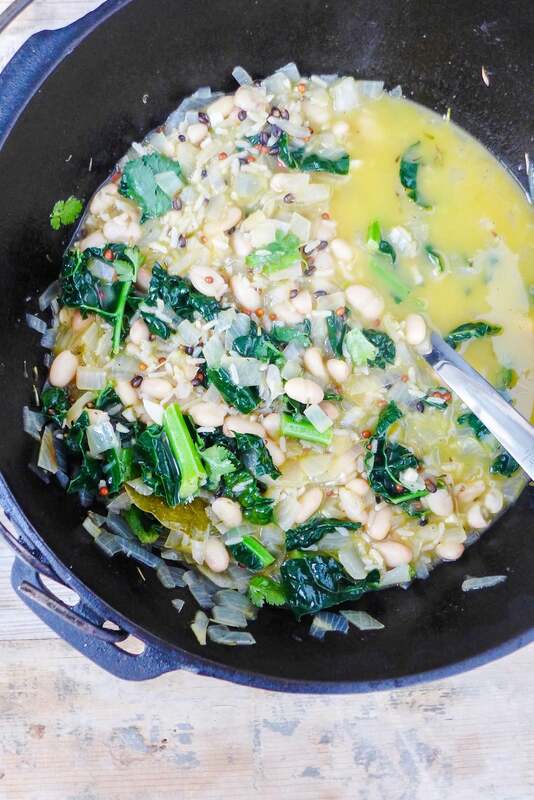 Stir in kale and white beans. Continue to stir until the kale has wilted, 2-3 minutes. Stir in cilantro and add salt and pepper to taste. Serve immediately.